The classic, incomparable King Corona Cigars! 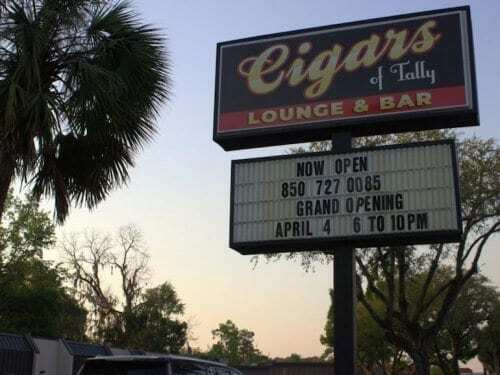 Ybor City’s original cigar lounge! When one walks along La séptima (Spanish for the seventh, as in 7th Avenue), you can see the ten foot Arturo Fuente sign from far away. This sign serves as a beacon alerting the pedestrian to the most genuine cigar experience in Ybor. 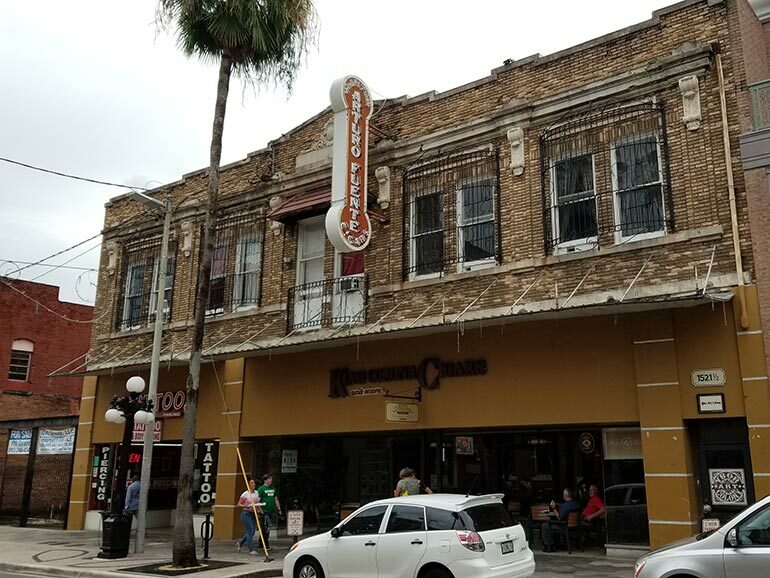 King Corona Cigars in the heart of Ybor City in Tampa and has been providing a stellar cigar-smoking atmosphere for the last 20 years. 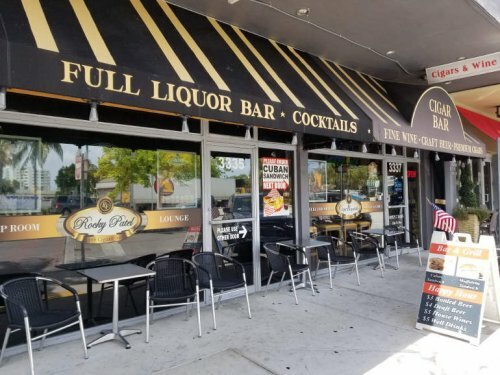 However, last year, previous owner and Tampa legend, Don Barco, handed the baton off to the new owner, Justin Jacobson, who has sworn not to play too much with the store’s formula for success! 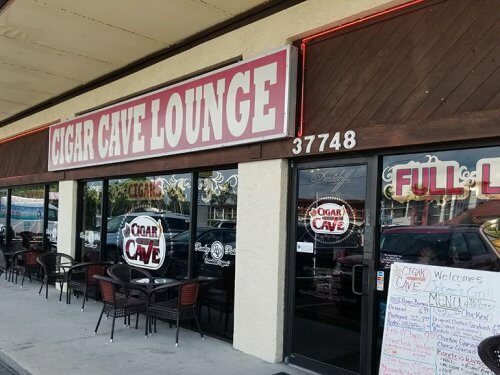 A new area in the back has been added with leather chairs and four flat screen TVs and a nice selection of classic rock is being played throughout the lounge. 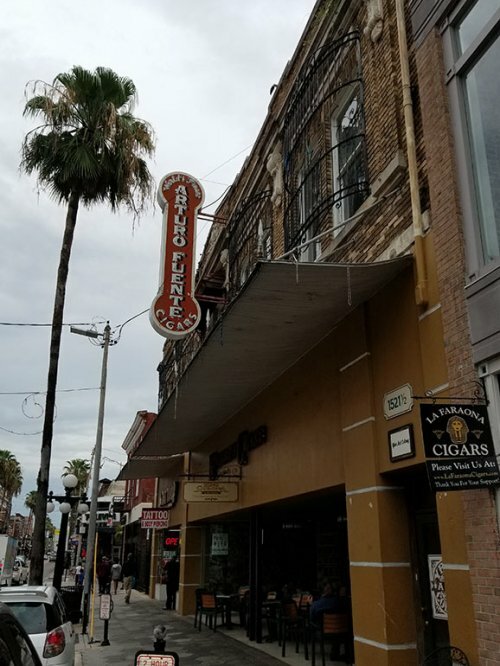 Other than that, it’s still the same Ybor City staple that everyone comes to in order to chill with a cigar and a café con leche and watch the movable feast of people walking by on 7th Avenue. 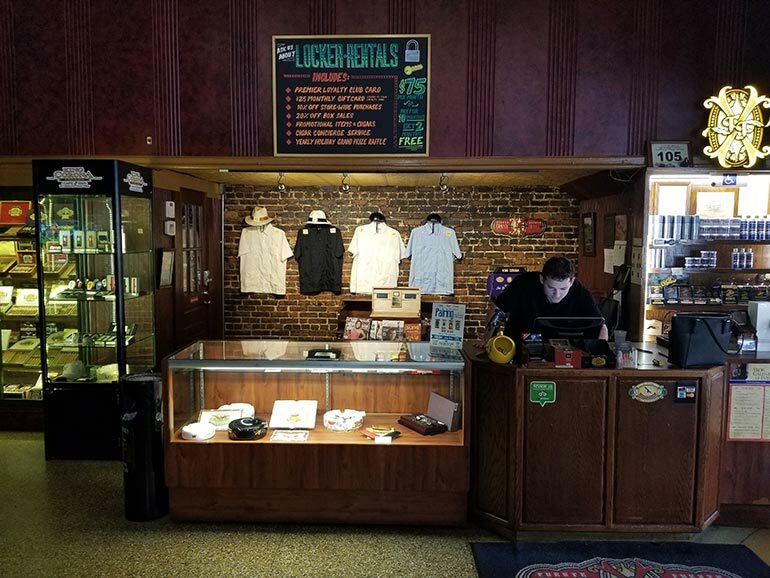 King Corona Cigars is a cigar lounge that was established in February of 1998 by the Tampa cigar legend, Don Barco. In 2017, Don decided to make his way into retirement and sold the business to Justin. Justin has sworn to not mess with the great formula of success that this establishment has used over the last 20 years. “We kept the menu the same, the drinks the same, and the cigars the same” explains Justin. The Cuban sandwich that King Corona is known for is still alive, well and living in the kitchen. 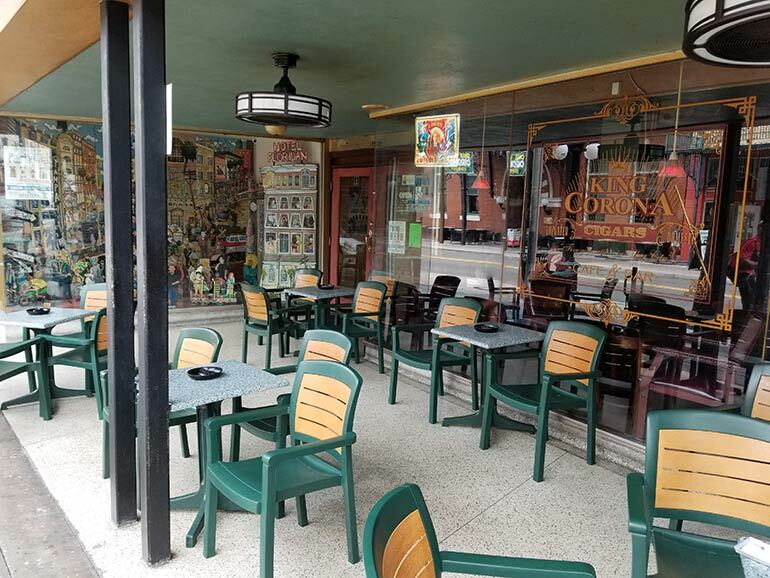 Which brings us to an interesting point: King Corona is a cigar store and lounge with a full kitchen. This is something that is unheard of in today’s day and age. The kitchen has been grandfathered in since it existed before the separation of smoking establishments with food service, and this kitchen does not disappoint! The Cuban sandwich I had was as delicious as I remember it under the prior administration. 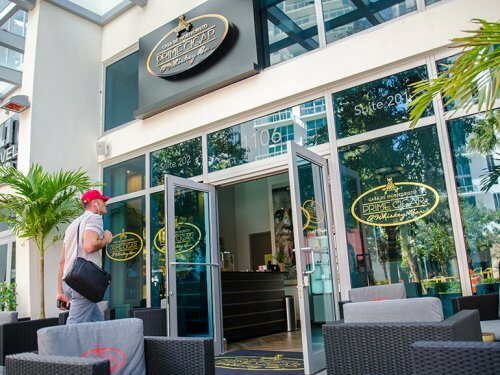 How many times have you visited a cigar lounge that also doubles as a great place to go for breakfast or brunch? For me…hmm…NEVER. Justin explains how customers will come in the morning and have breakfast and a cappuccino and not even consider smoking a cigar, “We have groups of people come in the morning and sit outside, drink some coffee, eat breakfast and just enjoy the Ybor 7th Avenue ambiance.” A truly unique experience for an establishment of the leaf. There are 5 brands that are only available at King Corona. These are blends that are rolled locally and give the smoker an experience they cannot find anywhere else. These brands are: The Light of Ybor, Ybor City Handmade, Nicaraguan Sueños, Puro Placer and Don Barco, named obviously after the founder of the business. All 5 are solid smokes with the signature robust flavor of an Ybor cigar. I always get a roasted coffee essence when I smoke the Light of Ybor or the Don Barco. These 5 blends can also be mixed and matched in simple packs. Some of the beverages available include a nice selection of wines and ports as well as six taps of local craft beer, one of which is something quite special. Big Storm brewing, a popular brewery in the Tampa Bay area and growing in popularity all over Florida, makes a brew exclusively for King Corona Cigars. The brew, which is a variation of the Big Storm classic Wavemaker, is called the King Corona Chili Amber Ale. This dreamy concoction is a harmonious blend of cayenne pepper and caramel layered over a well-balanced amber. The result…only a suggestion of sugar and spice with beautiful warmth and a hint of sweetness. Really a terrific beer! I will be back for it! These aforementioned brands along with many others are available for purchase on their website as well as fine coffees that are roasted locally. The only thing in the store that cannot be purchased online is the service! A clip and toast is available in-store upon request. Life is all about experiences. That is not news. Every place you visit in your life has something to offer. When you’re in Paris, visiting the Eiffel Tower is a must. If you go to Philadelphia and do not have a cheesesteak, you weren’t there. 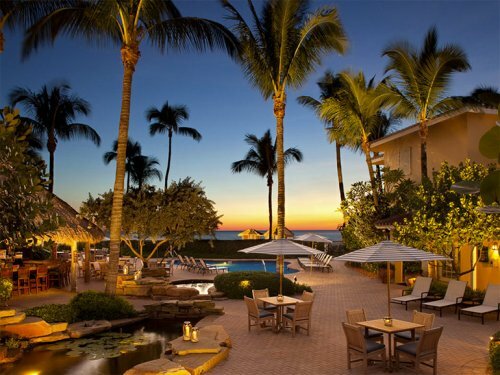 If you want something to remember from the country’s cigar capital, a visit to King Corona is a must! Bruce's love for the leaf quickly became his passion after visiting cigar factories and tobacco fields in Honduras. 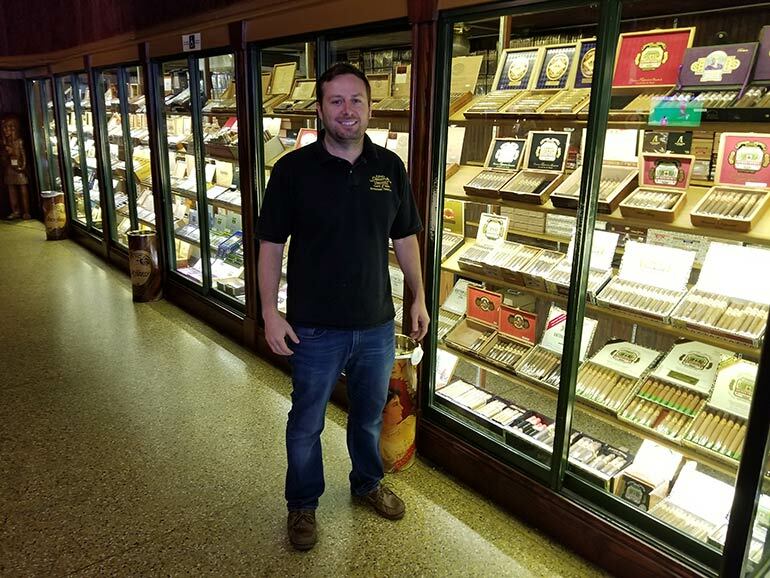 After participating in the blending and selection processes for many cigar blends over the last 10 years, Bruce became a proofreader for Cigar Journal and has been for the past 3 years. He received his Master's in Foreign Language Education from the University of South Florida and has been teaching German and Spanish for over 15 years. 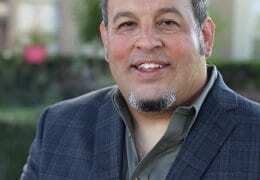 Besides his passion for cigars, Bruce's interests include traveling the world and coaching soccer. He lives in Florida with his wife and 2 children.